Today, a technical analysis of the markets is misleading, mainly because the Fed is pumping the USTbond and Agency MBS markets and the President's Working Group including Goldman Sachs is propping up the equities markets. Also, the currency markets are distorted by the turbulent capital flows driven by fear, and the interventions by central banks into those currency markets. And the commodities markets, including the gold and oil markets, are the beaten down stepchild of all the powerful forces listed above. So if technical analysis is misleading, perhaps a fundamental analysis gives us a clearer view of the future. It is well known, after all, that market interventions can create short term market movements, but they always succumb to the larger secular trend in the end. 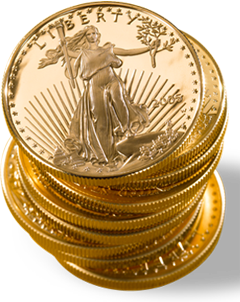 When reading about interventions in the gold market we often hear of the big "bullion banks". The following article posted today on GATA is one of the best I have read at describing what has been going on with these "bullion banks" and why we may soon see what a beach ball does when it is released under water. And for those of you that have been following Martin Armstrong's writings, there are some interesting connections here! Generally inflation means that the monetary base grows in relation to the products ("real economy") it covers. I would argue however that products of different quality are not really the same products. In that sense it could be argued that e.g. the deteriation of America's infrastructure (roads and bridges) is also a form of inflation, as government balances, or GDP have not declined by the same amount. This argument also goes for many products we buy today, as lots of (Chinese) goods are of lesser quality that the items they replace. The Yugoslavian case btw is terrible. Almost everything that happend there is owing to foreign parties seeking to gain their influence and break the regional strength. if one took that beach ball to an extreme depth, wouldn't there be a point at which its acceleration would level out and still have the same trajectory when emerging from the water? The second is a question for myself, which is whether or not I think it's relevant and practical re: the political/economic quagmire that we live in. My answer is probably not. Though I do wonder if there is a particular point at which they cannot do any more damage than they already have done. It feels like contemplating various realms of the infinite sometimes. Yes, the infinite or the extreme is often contemplated in physics but rarely is it practical. Think of it as a bell curve. The farther you go toward the infinite, the lower the probability gets. After a few standard deviations it becomes so improbable as to only happen once if the universe lasted a quadrillion years. That is vanishingly small! Even if not impossible, it is as close as it gets. In the case of the beach ball, I suppose if you took it deep enough it would implode and then sink to the bottom. This could happen eventually if someone figured out how to make real gold from lead. But the probability of this is vanishingly small. And the deeper the beach ball goes, the more the force that is required to hold it down. Also, a beach ball is not hydrodynamic like a submarine. So you are right, the deeper it is taken, the more the trajectory may veer from the vertical. To give a clear analogy, the forces holding the ball underwater expect that when they let it go it will explode upwards as a commodity play. But the problem is that even though they have held it relatively steady for decades, the surface level of the water has risen a great deal and they now find themselves much deeper than they thought they were, requiring much more force. And when they finally let go from exhaustion, the ball will veer off from the expected path and emerge as a monetary play instead of a commodity play. Most of them do not expect this. Those that do have already prepared. They are the giants that Another speaks of. The difference being that while a commodity play works in the world of paper derivatives, a monetary play only works in the world of the physical. I read your question again and I see that I misunderstood it slightly. Yes, I think there is a depth from which the ball will reach terminal velocity and emerge the same. But it will not emerge from the expected location because it is not hydrodynamically designed. And yes, the height which gold will reach does not depend on the depth the ball is taken any more. It is already well beyond the point of terminal velocity. FOFOA, thanks for bringing some physics back into my life. anything to diversify the conversation just a bit. and your response to my question wasn't much off at all, just tended to represent the depths to which you realize the beach ball is, as opposed to the higher, but still depths, to which I keep thinking it is. i'm still learning about an entirely different perspective here, and glad to hear it's out there, whether or not it reflects the balance of power in the world today or not. I'm quite a Feyerabendian; thus, i appreciate diverse, well-thought, and even imaginative perspectives, even for their own sake at times. though as my first comment to you divulged, there was something intuitively magical in those comments/quotes that I knew I was reading someone deep inside (and well before I obviously knew what this blog even was about). Alas, back to Sept of '08 I go, rereading the perspective and history of how this all unfolded from a different (though similar) set of eyes. anyway, i ramble, and digress, but appreciate, nonetheless (and that wasn't meant to be a poem, but i'll take the credit for it anyway). I know it's kind of like an Easter egg hunt here, but Ender did comment just two days ago under the post "Martin Armstrong makes the case for Freegold". Also, there is some more physics you might enjoy in the comments under "CB Gold Sales=Looting". Look for comments 39 through 56. And if you create a Blogger profile, you can get email notifications when people respond to your comments. It gets hard to follow after a while. You don't want to miss any responses! i might just have to break down and sign up. thanks for the tip.